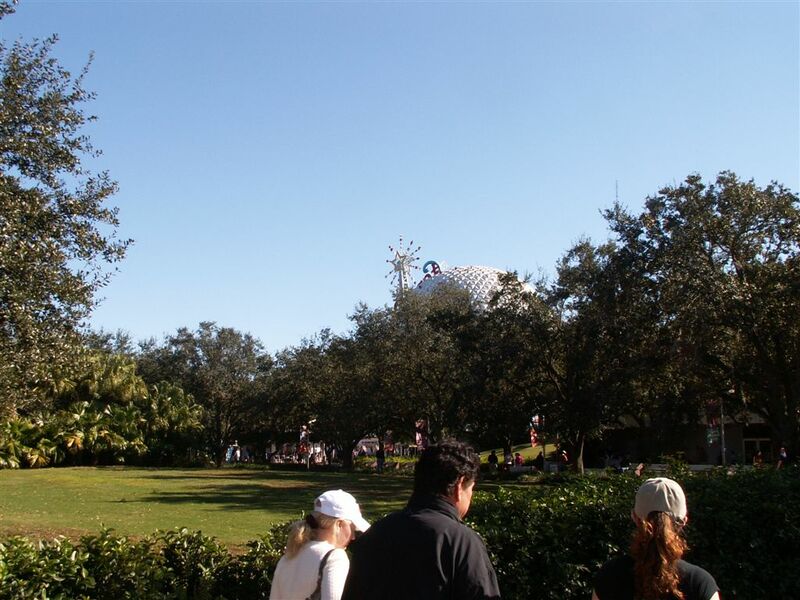 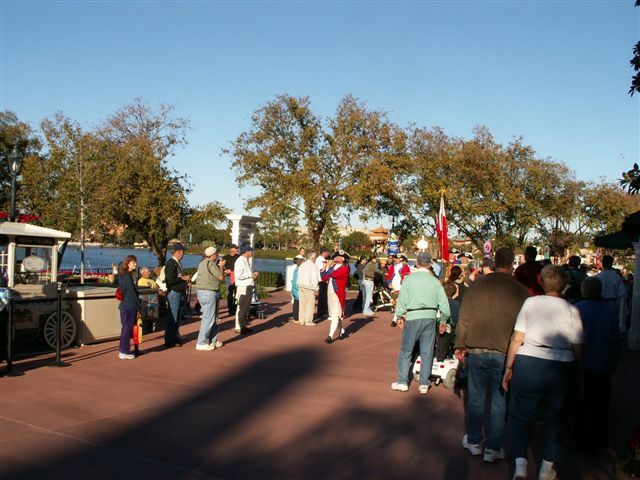 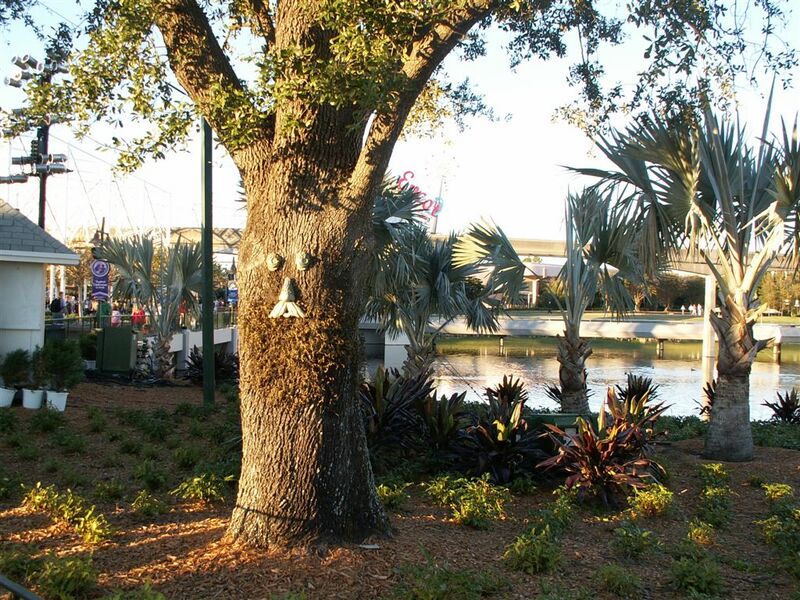 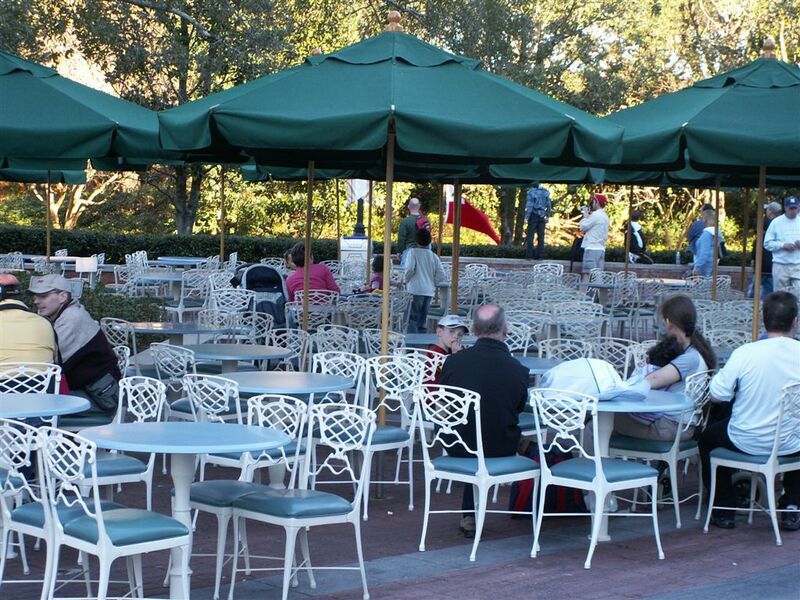 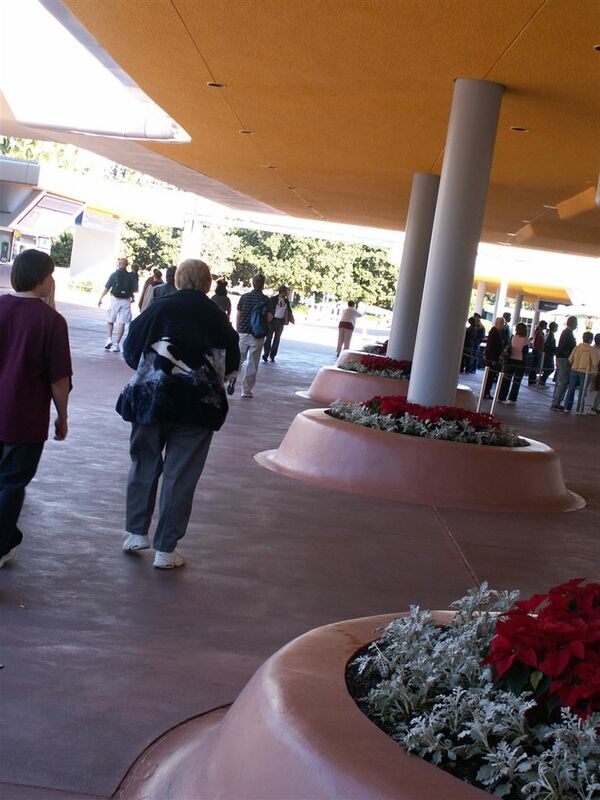 After Jim Hills meet had ended I headed to Epcot, looking at the pictures it looks like I took the bus. 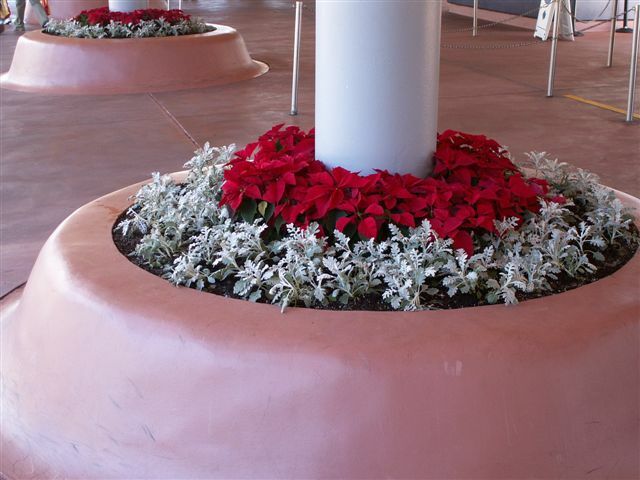 above and Below: Poinsettias at the Epcot ticket booths. 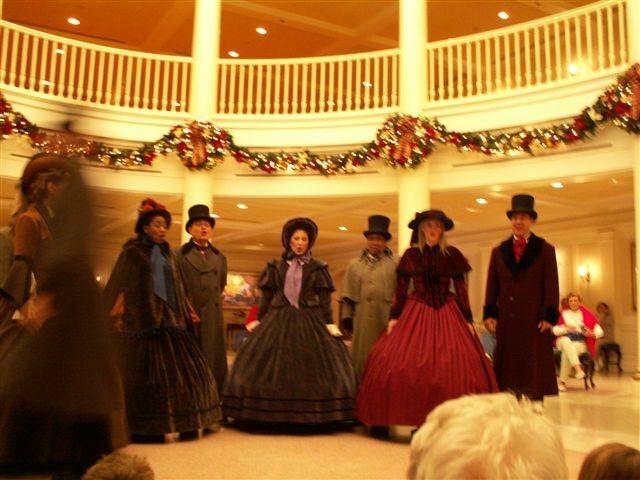 One of my top priorites at Epcot was getting some recordings, I don't think that I had recorded anything yet this trip, I didn't have a podcast yet in fact I don't even think I had really "discovered" podcasting yet so I mostly just wanted to record a bit of my old favorites the Voices of Liberty, of course being December the sets the Voices of Liberty were the Dickens Carolers version of the group. I caught the next to last set of the day of the voices which was in the Rotunda. 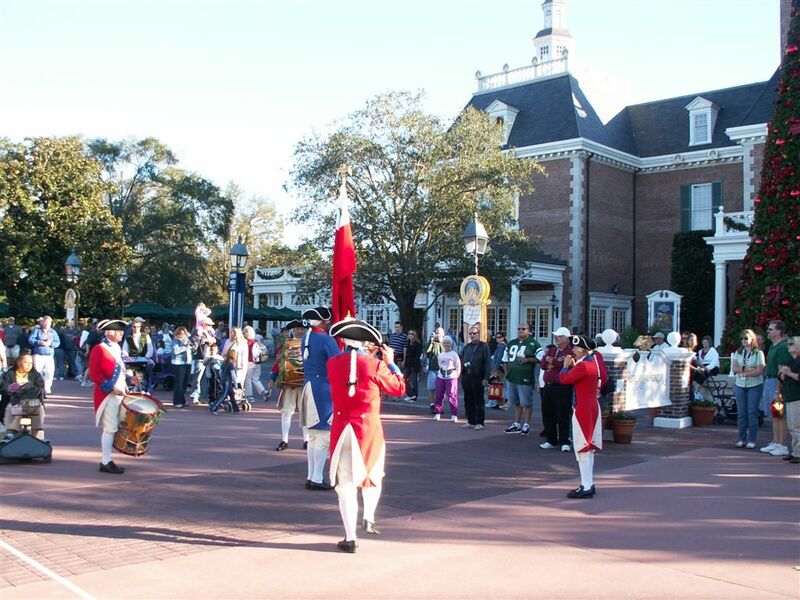 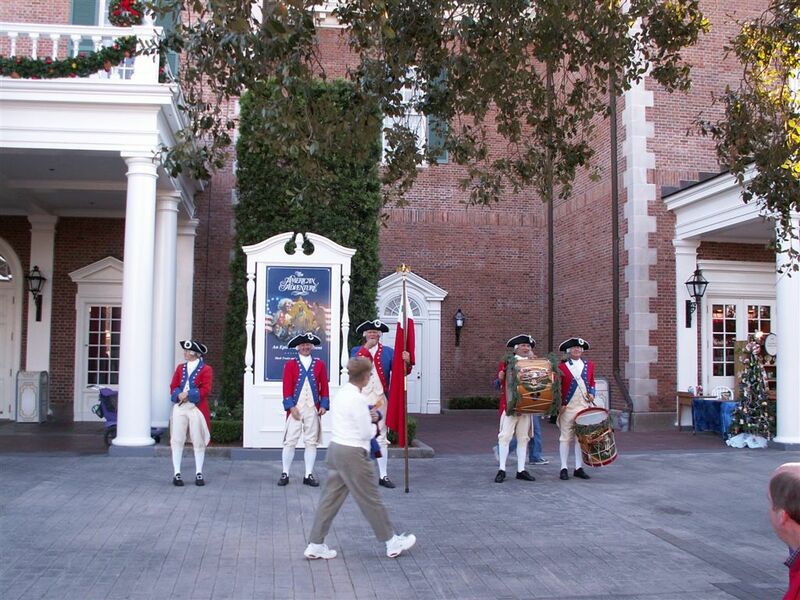 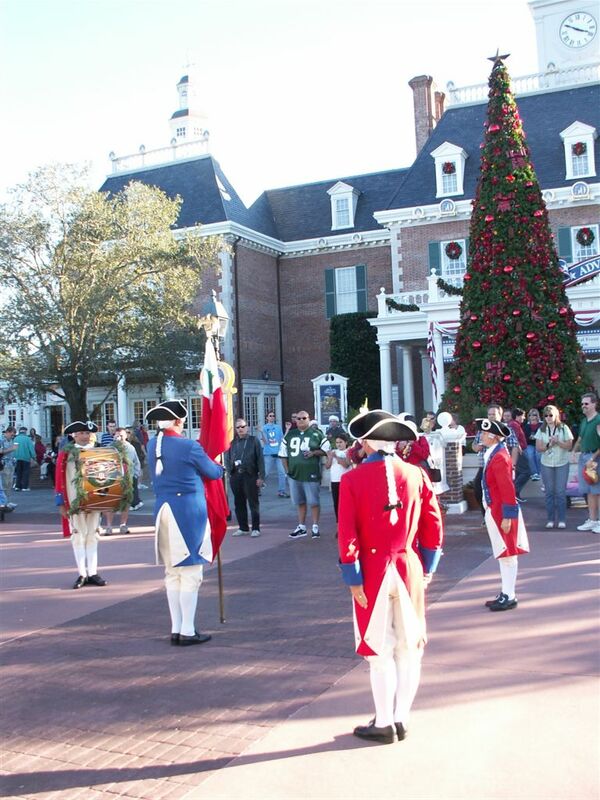 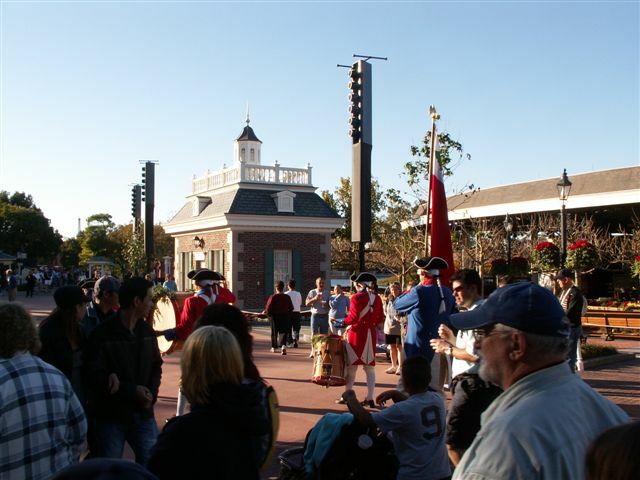 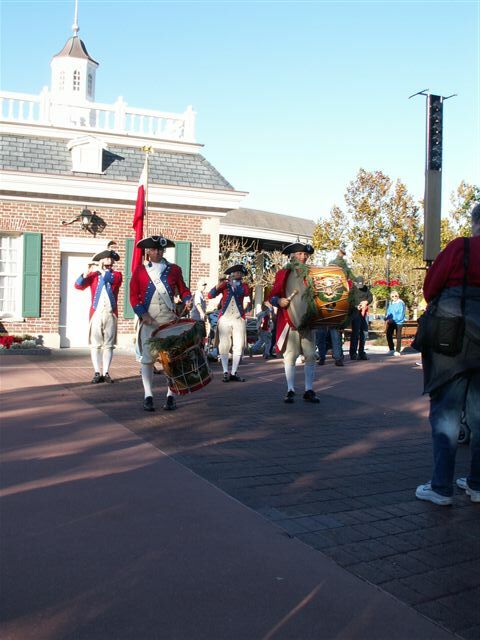 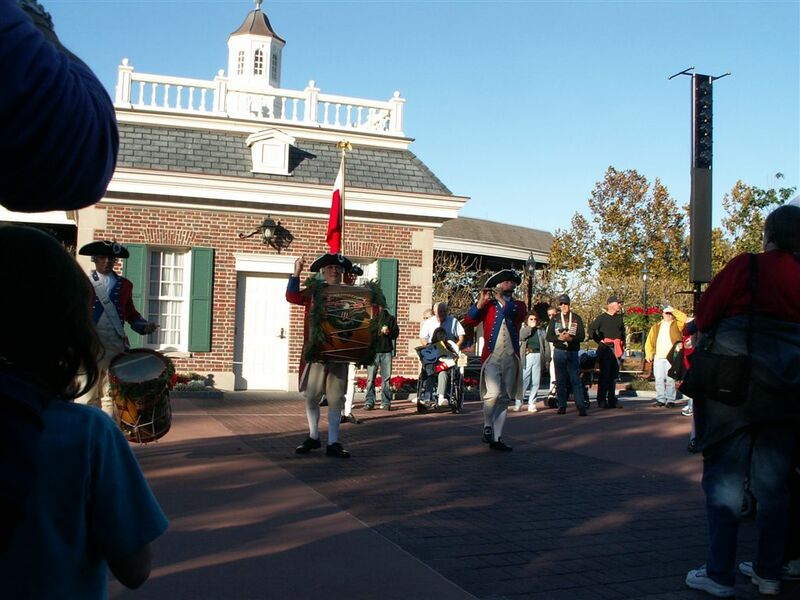 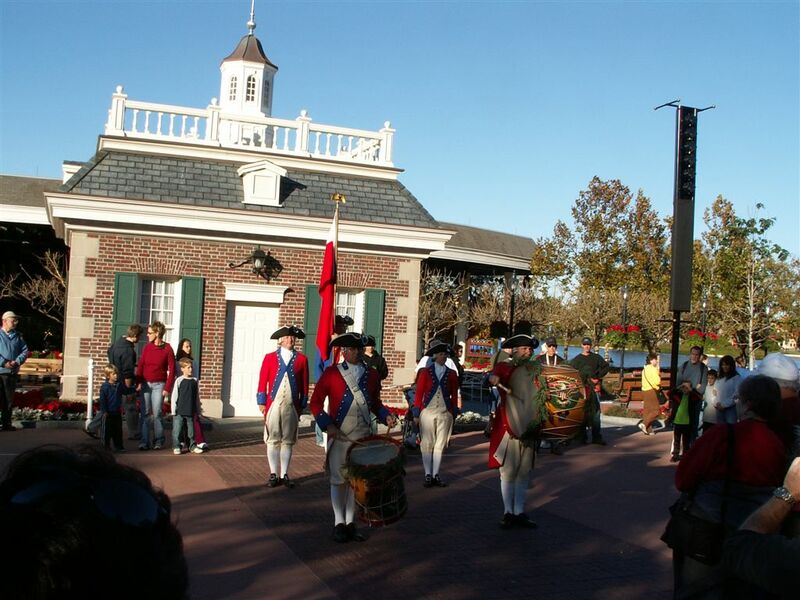 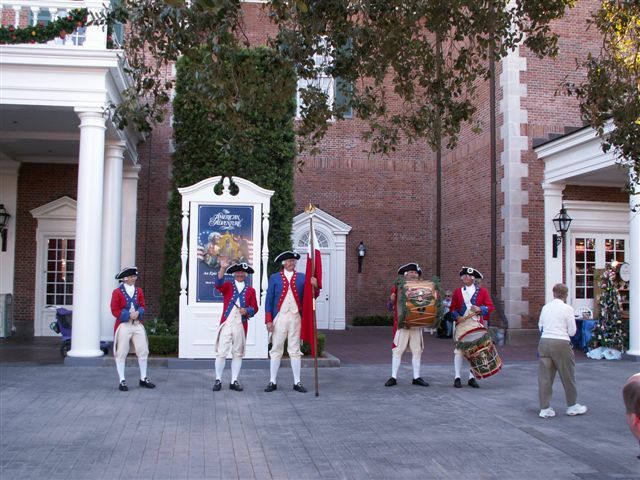 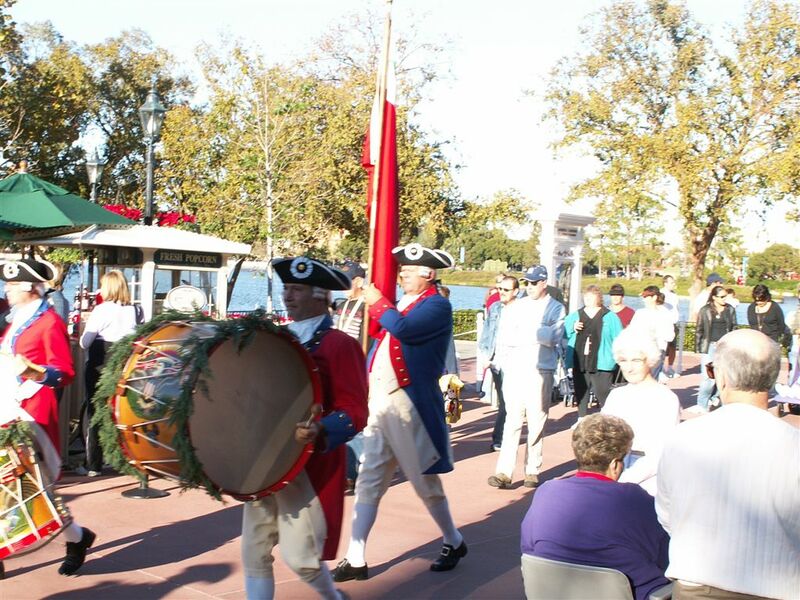 After The Voices of liberty set the Spirit of America Fife and Drum Corps played a set also heavy on Holiday tunes. 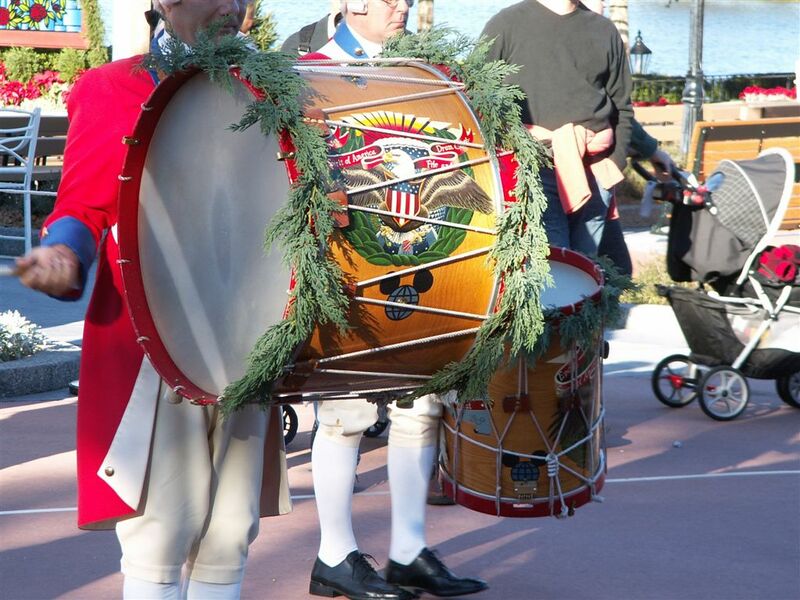 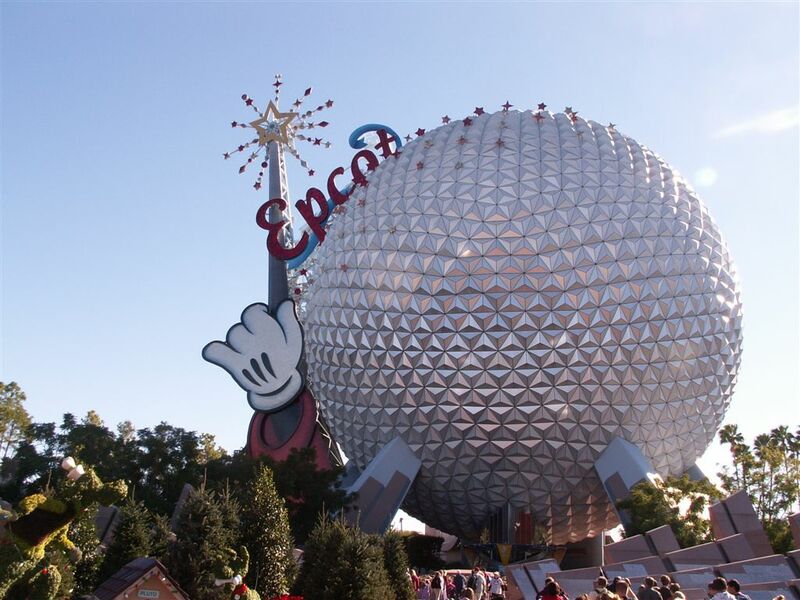 Above: I like the WDW Mickeyglobe icon on this drum. 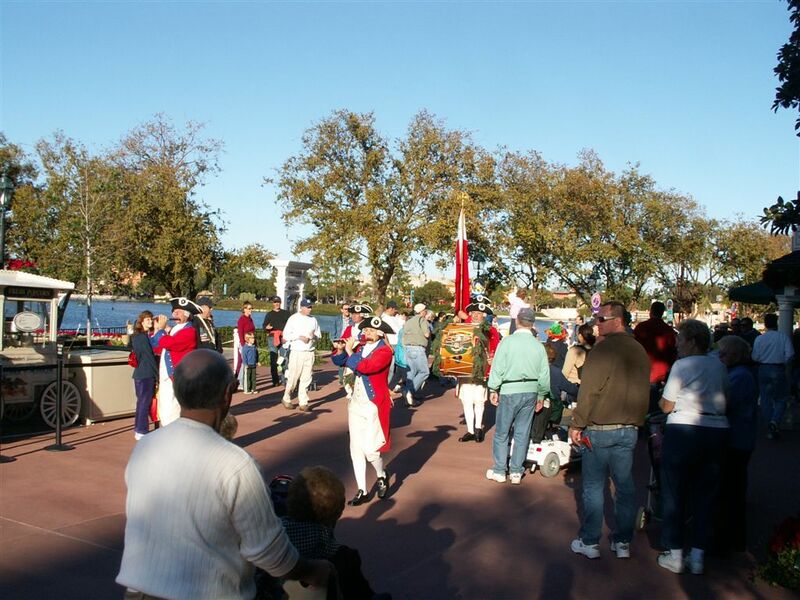 I also stuck around for the Voices of Libertys last set was actually held on the porch in front of the pavilion since the inside was being prepared for a private event, for those of you who don't know when they do this they actually load for the theatre show at what is normally the xit hallway. 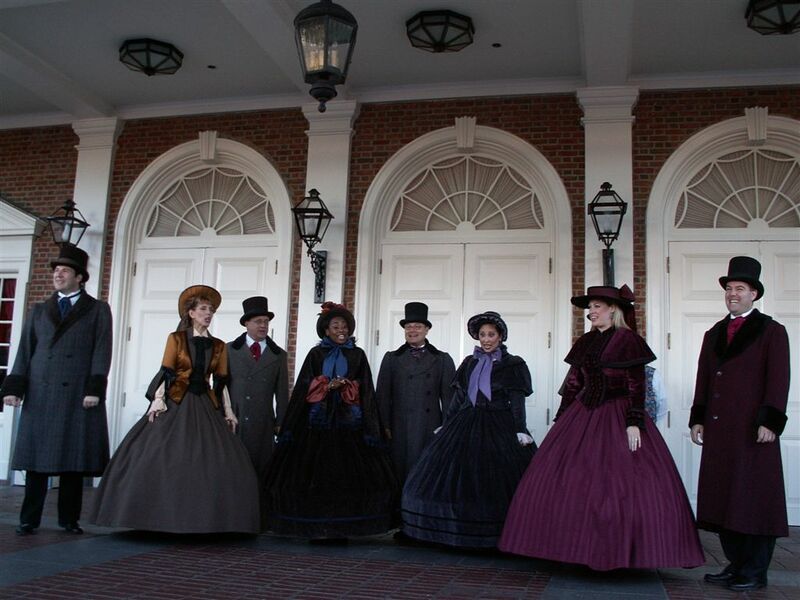 I was fading quickly and knew that I couldn't do too much more this day so after the Voices last set I simply took in the American Adventure show and then left the park to go back to the room and get some sleep!